Intel’s demonstration of a massive, 28-core PC chip will cap off what promises to be a busy Computex keynote on Tuesday in Taipei, complete with a special record-breaking Anniversary Edition 8086K processor, the formal announcements of the Whiskey Lake and Amber Lake processor families, one-watt panels designed to drastically improve laptop battery life, and more. “More” includes a look at mobile PCs from Asus and Lenovo with not one but two screens, of which PCWorld was allowed an exclusive sneak peek. It’s all great news for a PC industry that’s worked hard to climb back from declining sales. 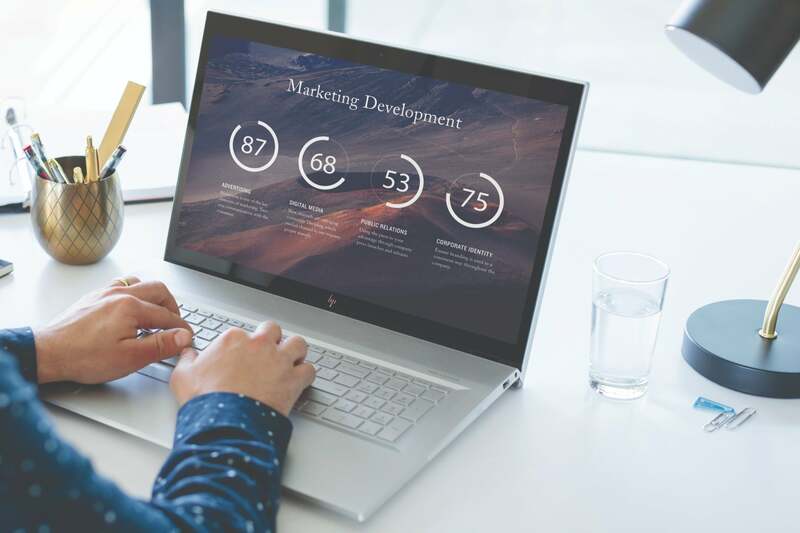 “The PC industry has been improving, which is great, and a large part of that is due to the innovation we’ve been driving with our PC partners,” said Gregory Bryant, senior vice president and general manager of the client computing group at Intel. Bryant said his speech will detail how Intel plans to make the PC a “personal contribution platform.” “The PC is good. We can make it great,” he said. On stage, Bryant backed it up: the 28-core chip runs at 5 GHz, and chewed through the Cinebench benchmark in a few seconds. By comparison, AMD’s Threadripper chip includes 16 cores and 32 threads, which would put Intel’s chip well ahead of the competition in terms of core count. Intel wouldn’t disclose any more details about the chip, including its process technology or architecture, but it sounds like we’ll see it soon—Bryant said it will ship during the fourth quarter. Bryant didn’t say how much it will cost, but we have a frame of reference. Intel’s Core i9-7980XE—the enthusiast processor with the most cores in its arsenal—currently weighs in at $1,999. A 28-core chip sounds like it could be a monster—and priced accordingly, potentially well above $2,000. Intel is celebrating the 50th anniversary of its incorporation this year with plans to release a commemorative version of the 8086, the chip that marked Intel’s transition from a memory supplier to a microprocessor vendor. According to Bryant, Intel plans to give away 8,086 of them (natch) through giveaways and other methods. Officially, the Core i7-8086K is an 8th-generation microprocessor, with 6 cores and 12 threads. It will run at a base clock speed of 4GHz, and a turbo clock speed of 5GHz. Rival AMD was first to break the 5GHz barrier with the FX-9590, an enthusiast chip the company shipped in 2013. The Core i7-4790K announced by Intel at Computex 2014 could reach 5GHz, but only after overclocking (the chip reached 4.4GHz in turbo mode). 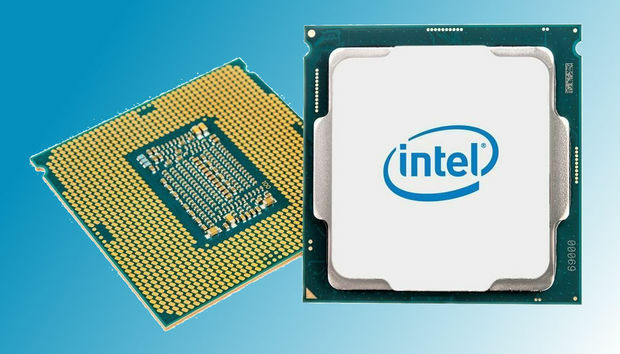 Several Intel Core chips have touched 4GHz, including the current Core i3-8350K. Technically, though, this Core i7-8086K would be the fastest Core chip ever announced under stock cooling. Intel hasn’t announced the architecture or the price of the chip. Given that clock speed, it will almost certainly demand a high-end chip cooler, too. We do know that it will ship on June 6. Normally, word of Intel’s latest chip architecture would be headline news. But while Intel’s 28-core chip and Core i7-8086K deservedly take their place, one has to wonder what will replace the current Kaby Lake-R. Now we know: Whiskey Lake and Amber Lake. Both the current Kaby Lake-R chips and the upcoming Whiskey Lake chips are U-series chips, which typically consume about 15 watts. Amber Lake is a Y-series chip, the Intel spokeswoman said, aimed at ultra-low-power ultrabooks, usually in the 4.5-watt range. We do know two things: the new architecture(s) will deliver “double-digit” performance gains over the current architecture, Bryant said, and PC makers are lining up with more than 70 designs. That’s a good sign that leading-edge PCs will begin incorporating Whiskey Lake (or Amber Lake) chips during the holidays and into early 2019. Computex really is the celebration of the PC and its components, and this year is no different. Well, there is something different: a pair of devices from Asus and Lenovo will incorporate not one, but two screens. Lenovo’s is the YogaBook, and the company is moving onto the second generation. Asus has more of a concept, known as Project Precog. Though dreams of folding Surface devices have thrilled Microsoft fans, these might be a bit different: The prototype they’re inspired by, known as Intel’s “Tiger Rapids” concept, uses a EPD display to simulate the writing surface of a pen-and-paper notebook. 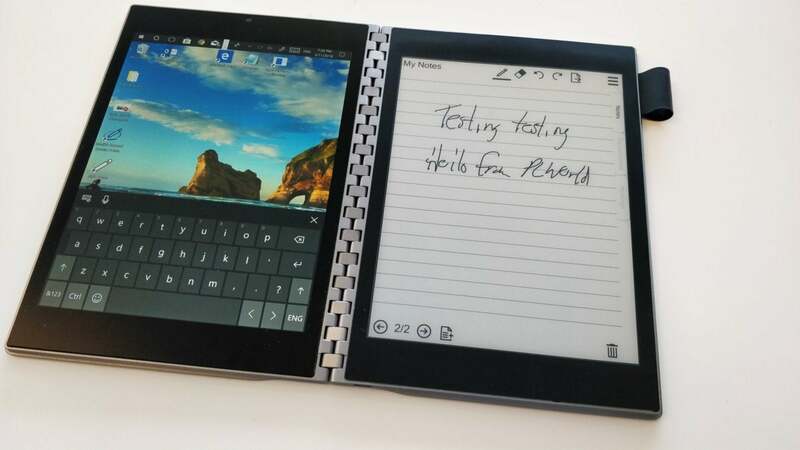 A second device looks a bit more familiar: it’s essentially a folding tablet made of two sheets of glass. Intel’s Tiger Rapids prototype inspired similar designs by Asus and Lenovo. But wait: What Asus will show on stage combines what Bryant called two “vectors” of revitalizing the PC, artificial intelligence and new, adaptable form factors. What Asus will show is an “AI-based PC,” Bryant said, with an Intel Movidius deep-learning chip inside to improve the PC’s ability to accelerate deep learning. AI will also be used to improve the PC platform as a whole, including smart battery charging, Bryant added. Later, Intel will relase an AI developer kit. Though we often focus on the amount of power your laptop or desktop CPU consumes, the other components in your mobile devices, including your display, are culpable, too. Intel and its partners plan to use Computex to announce a potential solution to the problem: one-watt panels that will significantly improve your laptop’s battery life, by about 4 to 8 hours of additional battery life. The power that a laptop like this HP Envy 17 consumes varies according to numerous factors, but the display is still a significant power hog. What Intel calls Intel Low Power Display Technology is a set of technologies that deliver dramatic reduction in display power, according to a company spokeswoman. Intel worked with Sharp and Innolux to develop the technology, which Intel did not fully detail. Fortunately, the panels will arrive inside PCs by this holiday season, delivering 20-plus hours of battery life without compromising performance or visual experience, she added. Intel’s parade of announcements will continue with a new M.2 implementation of Optane. 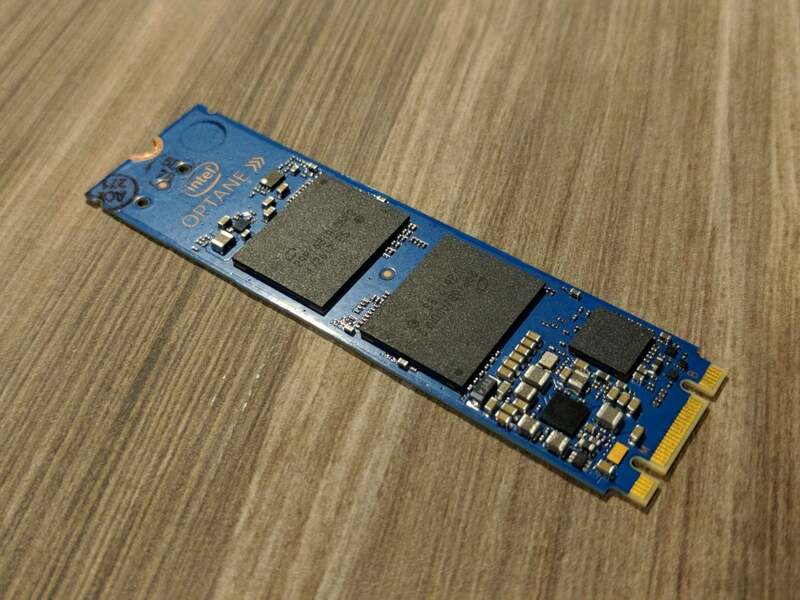 The new Optane 905P s 380GB in capacity, and can be used to upgrade a laptop or combined in an NVMe RAID array on a PCIe card or motherboard up to a total capacity of 1.5TB, Bryant said, with data rates of 10GBps. You’ll be able to buy it this summer, Bryant said. Expect a version of mobile Optane with higher capacity soon. Bryant appeared on stage with a representative from Sprint, who announced a partnership to bring 5G-connected PCs in 2019. Sprint, along with other carriers, have begun testing 5G technologies in various cities, though it’s unclear how pervasive 5G networks will be once the PCs ship. Intel has faced some competition, at least on paper, from Qualcomm. The company’s Always Connected PCs feature 4G connectivity from various vendors, together with battery life that stretches most of the day. Bryant said he’ll be showing 10 new 4G Connected PC designs for the holiday season, adding to the total of 25 designs already in the market today. Intel even brought in a 5G cell into its Computex keynote to show off the power of 5G connectivity. “I think this is a big, big deal,” Bryant said of 5G, and the partnerships Intel has forged with partners and carriers. The day after Intel makes its presentation, AMD will chime in. We’ll see whether it can top what Intel has already announced. This story was updated at 12:00 AM on June 5 with additional details.